I don't have a whole lot to show for the amount of time I've spent in my sewing room the last couple of days. I'm still piecing all the pieces and parts for Carolina, and putting off appliquéing the stems as long as possible. I did cut new triangles for the main basket piece. I didn't like the direction my first batch were going. So I cut all new ones, where all the grapes hang the same, downward. I cut these triangles from strips instead of squares, so I wouldn't have a stack of triangles with the grapes pointing upward. I'll need to be careful though, I now have two bias edges on my triangles in stead of one. I'm not worrying about the grapes on the basket legs, for some reason it doesn't bother me that they are going every possible direction. So this is my new inspiration block. I'm also still working on my fabric reorg. All the yardage that I wanted to turn into fat quarters has been cut. I just need to fold them, sort them , then put them in a bin. I'm all the time grabbing a stack of fabric and taking it downstairs to fold. Here's a stack by my chair in the living room. Here's a stack on my nightstand. My goal is to have this all wrapped up by Monday. We're in for a few sunny days which will make sorting the fabric into the appropriate bin much easier. Since you were nice enough to drop by, I figured I would show you a few better pictures than stacks of folded fabric and one single Carolina block. I've found a couple of beautiful projects online that used Chateau Rouge by French General for Moda and thought you would enjoy seeing them too. So here's 3 Barns, the pattern I used for my Chateau Rouge bundle. 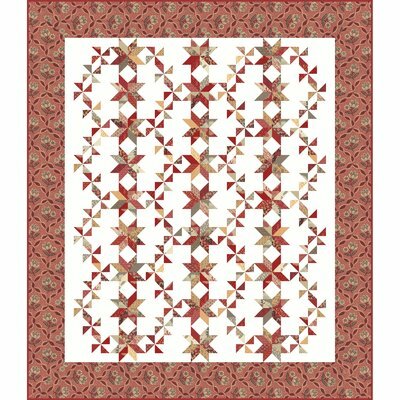 This is Woven in Pinwheels by Gerri Robinson of Planted Seed. I borrowed this picture from Lisa/Stashmaster who is working on this pattern. Lisa has been down with pneumonia, I can hardly wait for her to get feeling well enough to finish this quilt. Get well soon Lisa! Here's a picture of the quilt on the pattern cover. Click here to purchase this pattern. Planted Seed has some great patterns, I ordered 3 patterns online and was charged $13.00 for postage, yikes! Maybe you will want to look for them in your local quilt shop. Paulette/Sweet Pea Quilting blogged about a quilt made by her friend Siena. She used the Rob Peter to Pay Paul dies for her Go Cutter to cut the pieces for these blocks. And here's Siena's finished quilt. I love seeing the same pattern made using different fabric, I also love seeing the same fabric used in different patterns. These make you want to track down some of that Chateau Rouge fabric, don't they! they could have put them in a priority envelope for less then 6. and mailed to you. can you tell thats a big pet peeve of mine???? Have to agree, those grapes would drive me nuts too! Looks really nice and hope the rest go together easy. 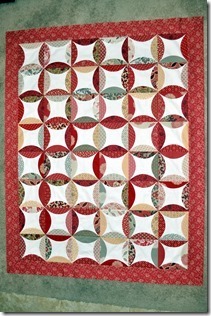 Love all the red quilts and what nice eye candy for a Friday....get us geared up for the weekend. I am sure we all have a project or two to work on.....Think your fat quarters are growing on you Thelma. Love your posts...even those showing folded fabrics...giggle! I think you were right to change the grapes...they do look better! I picked up some mini-charm packs of Chateau Rouge yesterday just yesterday...nice to see the display of quilts using this line! You have a great weekend Thelma! I have a question. 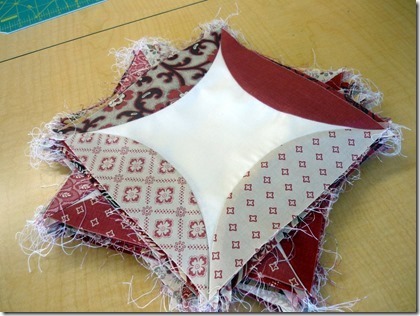 Why do you cut yardage into FQs? I'm curious. Is it easier to handle? Easier to store? 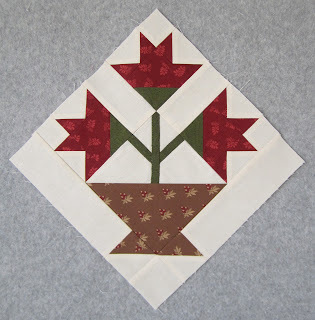 I have never been a big FQ buyer and prefer a minimum of 1/2 yard and one yard pieces. I'm always interested in how others work. I tried asking this question weeks ago when you started your stash organization posts but Blogger wouldn't let me. LOL, why is it that the annoying lady offering French Villas to rent has no problem leaving comments on my blog, but friends and quilters who stop by can't! Thanks for trying again. I'm not sure if this is the best way to go, but almost all of my projects are scrappy, so I need a little bit of a lot of different fabrics. The old way, I would look through my fat quarters then my yardage, and it seem time consuming. If I don't need the yardage for a border or binding, it might as well be in a fat quarter bin, sorted by color. If I had a yard of fabric I cut and folded 4 fat quarters . I probably won't know for a few months if this was a good idea or not. But just the same, it feels good to be getting organized and taking a better look at what i do have in my stash. Yikes is right! $13 for postage is way too much to mail just three patterns. Since moving, I mail a lot of stuff so I know that is way to high. I usually attempt to order my patterns from the designer who created them as I feel they deserve it. However, I have a lovely LQS that will order them for me and then I pay no postage. That said, I do love the Woven in Pinwheels pattern. Your attention to detail is what sets you apart and makes you a better quilter than I will ever be. Recutting those basket triangles was the right thing to do. It's going to be another beautiful quilt! It's not always fun paying the postage. I look at it as "gas money" and "time saved" though and try to justify it that way! Uh, I don't have a quilt magazine/book on my nightstand. It's spring and I'm looking at rose and gardening books! ooooohhhh man - you MEGGED me again!!! i followed that link and ordered TWO patterns!!! but they are "only" charging me $6 for postage, so i guess i got a pretty good deal, huh? maybe your third pattern is really, really heavy - ha ha ha!!! $13 is way too much postage for 3 patterns... yikes! I would need to have my grapes all hanging down too...things like that make my mind hurt. HA! Thirteen dollars shipping for three patterns seems excessive; that Woven Pinwheels pattern is appealing. Good luck on finishing the fabric folding, you have made great progress so far. Thanks for sharing. Thank you Thelma for sharing. I really enjoyed looking at all those beautiful red quilts. So inspiring in deed. 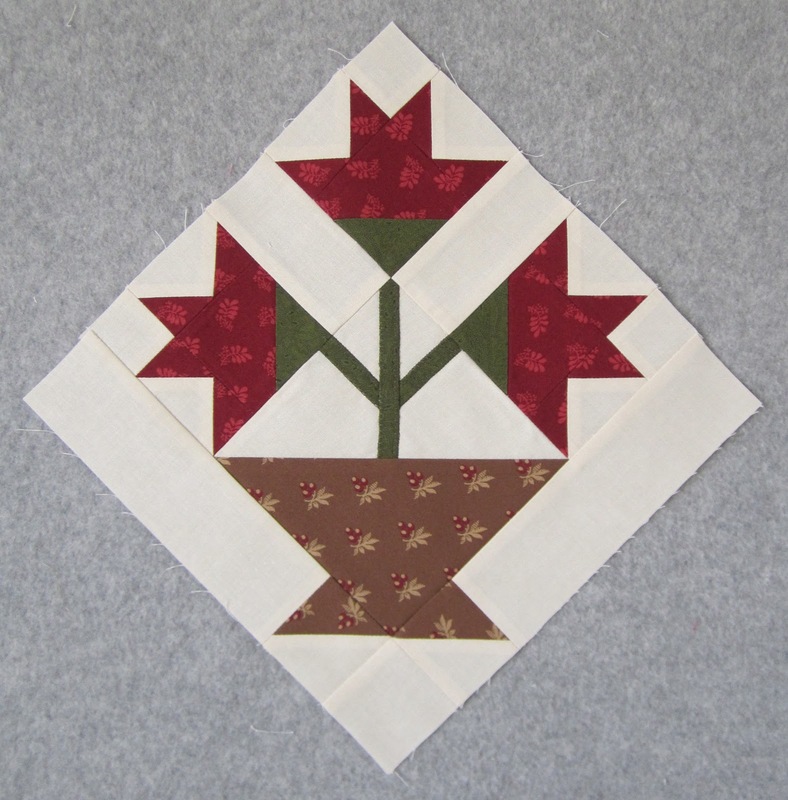 Would be nice if you could track down some of the quilts made with your beautiful bundle of red fabrics. Just a thought! Yes, I am going to have to buy some of that Chateau Rouge by French General for sure!! Gorgeous quilts!